Cable and mobile service provider Vodafone Deutschland has struck a partnership with music streaming outfit Spotify to enable its mobile subscribers to add Spotify’s premium service to their mobile packages for €9.99. Vodafone customers can sign up for Spotify via the MeinVodafone app and pay via their mobile bill or from pre-paid credit. The service is free for the first three months, leading to a saving of about €30 a year for Spotify subscribers, according to Vodafone. 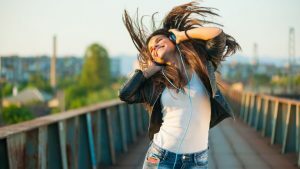 Spotify Premium allows customer to listen to content on smartphones, tablets or home entertainment systems while users can also listen to content offline. Subscribers to the Vodafone Music Pass offering can stream music at a flat rate for multiple hours. Michael Reinartz, director of innovation and consumer services at Vodafone Deutschland said that the pair were creating “one of the most attractive music streaming offerings in the German market” while Michael Krause, Spotifiy’ s EMEA managing director, said that the partnership would give Vodafone Deutschland customers “quick and easy access to music, personal playlists and recommendations, as well as the best podcasts on their mobile device”.